Sarah Warren suffered from two debilitating back injuries during her years as a ballet dancer. After quitting dance, she learned about the work of Thomas Hanna and his technique of Clinical Somatic Education. Warren discovered that her injuries, as well as the residual tightness and pain she was experiencing, were caused by deeply learned muscular patterns. Hanna had developed a method of neuromuscular education which retrained these damaging muscular patterns. Within weeks of practicing Hanna’s techniques, Warren felt like she had a brand-new body. In The Pain Relief Secret, Warren explains the learning process by which we develop habitual muscular patterns, and how these muscular patterns lead to pain and physical degeneration. She then describes how a series of somatic educators discovered how to work with the nervous system to change these deeply learned muscular patterns. Lastly, Warren explains the process by which Clinical Somatic Education re-educates the nervous system, relieving pain and restoring function. 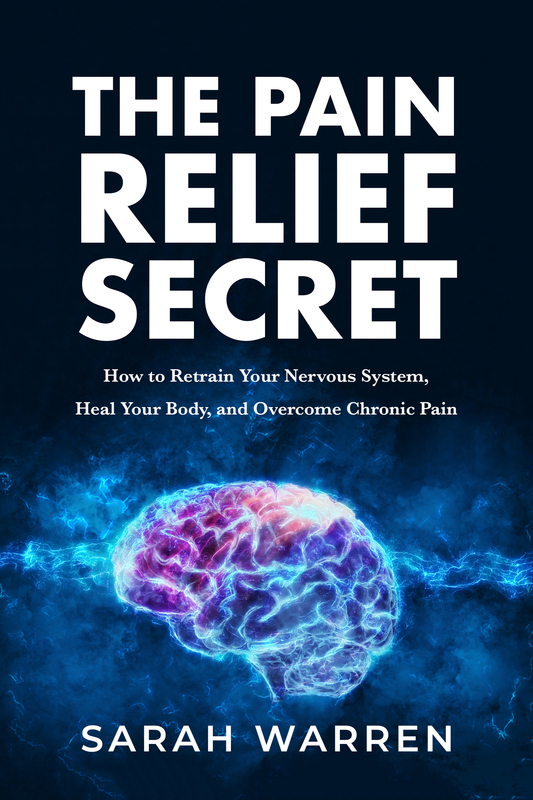 The Pain Relief Secret gives hope to millions of pain sufferers, letting them know that they have the ability to relieve and eliminate their own pain through a gentle process of re-educating the nervous system. This book is being published by TCK Publishing and will be available for purchase in Summer 2019. The amount of pain that we have learned to live with is shocking. More than a third of the world’s population is in some type of pain, most or all of the time. In the United States, the number of people who live with chronic musculoskeletal pain is almost double the number of people who suffer from heart disease, stroke, cancer and diabetes combined. The myth that our bodies will inevitably break down and that we must experience pain as we age is so ingrained in our belief system that few people stop to wonder why this breakdown occurs and if it might be avoidable. As a result, research funding is spent on developing new drugs that help us manage pain conditions and new surgical techniques that fix worn-out joints, rather than on investigating the underlying cause of musculoskeletal pain and degeneration. While there are many causes of chronic pain, including cancer, autoimmune conditions and neuropathy, the majority of us who experience musculoskeletal pain and physical degeneration do so because of the way that we habitually use our bodies—the way that we stand and move, day in and day out. As humans, most of our muscular patterns are learned rather than preprogrammed. A vast array of factors, including our physical and emotional environment, the way we react to stress, our personality, the injuries we sustain, and sports and other physical training contribute to the muscular patterns we develop. It is our incredible capacity to learn which sets us apart from all other animals, and which makes it inevitable that we will each acquire a set of muscular patterns that is entirely unique. Unfortunately, our learned postural and movement patterns can cause our muscles to be chronically tight and sore, our joints and nerves to be compressed, and our bones to be stressed often to the point of causing actual damage to the structure of our bodies. The fact that the way we habitually stand and move leads to pain and degeneration is not news. Many health professionals recognize this fact, yet they continue to try to fix our musculoskeletal problems by manipulating the structure of our body. When their techniques have limited success, our chronic pain and degeneration seem mysterious. They chalk it up to overuse or old age and assume that there is nothing that can be done. The life-changing news here is the fact that we have the ability to change the way we stand and move through an active learning process. In the new Somatics book The Pain Relief Secret, Clinical Somatic Educator Sarah Warren explains what causes most musculoskeletal pain and degeneration and how we can prevent, alleviate, and eliminate our pain. Over the past hundred years or so, with an increased understanding of how our nervous system works combined with a great deal of self-exploration, Somatic educators have figured out exactly how to retrain deeply learned muscular patterns and release subconsciously held muscle tension. With such effective techniques available, it is simply not acceptable for us to believe that we have no control over our pain. The techniques of sensory-motor education developed by Dr. Thomas Hanna will change the way that the medical community and society as a whole think about chronic pain and physical degeneration. There will come a time—maybe in five years, maybe in fifty—when taking care of our neuromuscular functioning will be akin to eating a healthy diet and exercising. It will be widely accepted that we have just as much of an ability to prevent chronic pain and physical degeneration as we do to prevent heart disease, obesity and diabetes. Getting to this point will require a significant shift in the way we think about our health, as well as fundamental changes in our health care and health insurance systems, but it is only a matter of time. Sarah Warren is a Certified Clinical Somatic Educator. She has helped people with chronic muscle and joint pain, sciatica, scoliosis and other musculoskeletal conditions become pain-free by practicing Thomas Hanna’s groundbreaking method of Clinical Somatic Education. Sarah is passionate about empowering people to relieve their own pain, improve their posture and movement, and prevent recurring injuries and physical degeneration.